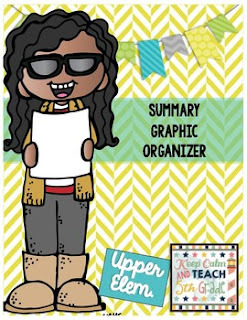 This contains one graphic organizer to teach summary writing. It is designed for use in upper elementary. The boxes are small so some students may struggle with space.